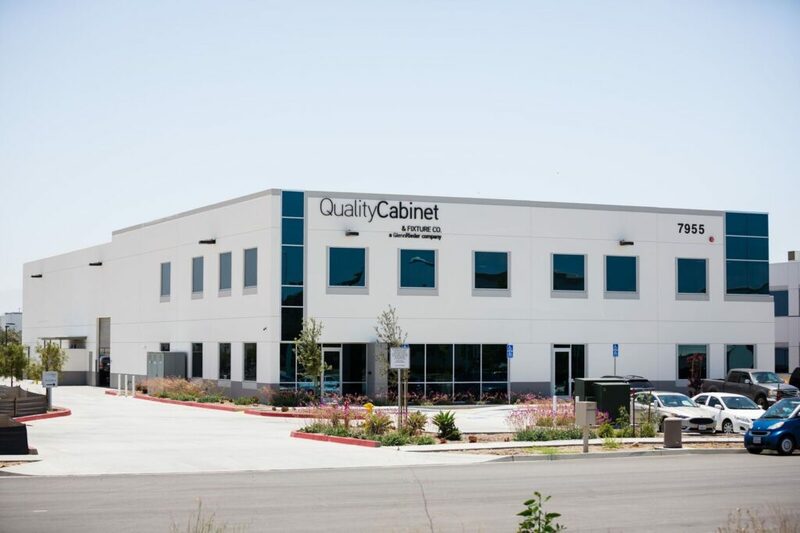 Quality Cabinet & Fixture Co., a Glenn Rieder Company also built a new building for their San Diego location, moving them closer to our Tijuana plant. Quality moved into their new 20,000 sq. ft. building. The new facility features a monkeypod angulating lobby wall, custom slate flooring, Spalted Maple workstations, collaborative work spaces and conference rooms equipped with TV conference systems.